So, you’re ready to take responsibility for how your life is going. You’re hungry to create lasting change in yourself so you can fall in love with life again. You want to eat high raw so you can tap into your natural energy and potential. You want to feel fulfilled and passionate about your life and feel good about how you look. You want to be an inspiration to others, to show that it’s possible to love life, look great and enjoy your work, your family, your partner. You want to have it all! The hardest thing for you is having beautiful aspirations for yourself and your life but feeling like you can’t quite achieve them. No matter how hard you work or how much you feel you’re sacrificing, you still feel like you’re getting slowly further away, not closer. I know you’re fed up of feeling tired and exhausted. Working hard and experiencing stress and overwhelm is causing you to experience self-doubt on an almost daily basis. You often feel that you’re not doing ‘it’ well enough or in the right way: work; relationships; parenting; looking after yourself. It feels like a struggle a lot of the time, but you keep pushing yourself. You think if you keep pushing yourself then it will somehow work out. But… on some level you know that’s not true because you don’t feel as happy, on purpose and as full of life as you’d love to. The next enrollment for this programme is in Summer 2017. Please join our mailing list to be first to find out. I know that you don’t want things to carry on like this. You’re getting older and you’re afraid that your joy for life will die, your confidence will hit rock bottom and you’ll feel even more overwhelmed and further away from the life you really want. You’re scared that if this situation doesn’t change you’ll get more and more unhappy, exhausted and unfulfilled. You’ve been thinking a lot about eating more healthily but haven’t really got where you want to with it. You’ve been reading self-help books, trying to improve your confidence and work out how to get life back on track. You so want to get this right for yourself but you’re feeling like you don’t have the energy and you don’t know how to begin untangling this knot you’ve got into. It’s highly likely you feel like your letting yourself down; you’ve been thinking that you don’t have the discipline or the commitment to do what needs to be done and you’re feeling bad about yourself. You’ve probably tried counselling, massage and other complimentary therapies to relieve the stress and give yourself the clarity and strength you need, but none of it quite works. What’s missing is that you haven’t had the support you need to help you get out of this situation. You haven’t had someone there, beside you, championing you and your vision for life and reminding you that you can do it. “I loved the 12 week course. It gave me so, so much more than I’d expected; I felt lighter, brighter and so much clearer in all aspects of my life, and the benefits were almost immediately obvious. The weight just fell off me without me ever being hungry, and I ate so much raw chocolate and ice cream! I feel good in my skin, in a way that I don’t think I ever have before. You’re an independent, ambitious woman with a desire to be an inspiration to others, but aspects of these positive traits are actually holding you back. You feel you have to do everything on your own and that getting help is somehow weak. Taking the ‘easy route’ by asking for help feels like cheating. You think that you should be strong enough to do it on your own. You’ve had some realisations about what’s wrong with your life but you haven’t had the objectivity or moral support to be able to change them. You’re being held back by a lifetime of learnt patterns around food, ‘being strong’ and self-criticism. You haven’t been able to shift these patterns on your own because you don’t have the guidance or expertise to help you move through them. You’re family aren’t able to support you as much as you’d like because they don’t have the objectivity: they are in the pattern with you. Other therapies give you temporary relief, but aren’t giving you the life tools you need in order to change deeply ingrained negative thinking and behaviour patterns. Imagine you had space to explore what isn’t working in your life and to work out what you need to start making changes. Imagine you had a weekly sacred space where you felt safe enough to be nurtured and challenged to be the very best of yourself. Imagine feeling like you could let go and share the load. Imagine allowing yourself to get support from someone who really cares about you and has an objectivity and clarity that no-one else can give you. Imagine seeing yourself as your best asset and therefore believing 100% that it’s ok to invest in support. Imagine having someone to speak to every week who was there just to support the highest version of yourself and your vision for your life; someone to give you confidence and practical tools to help you change the things that aren’t working in your life; someone to show you how to access your natural vitality, wisdom and inner peace. Imagine you had someone who loved you truly as you are and supported you to become the woman you truly want to be, living the life you truly want to live. “I feel fantastic! When I look back to the beginning, and think about how much my life has changed, I just can’t believe it. With Saskia’s help I have found my power, learnt to trust my intuition and have made the transition into a new era of happiness and wellbeing. Your 1 hour Assessment Call. Eleven more weekly 45 minute coaching calls. Weekly high raw and personally tailored menu plans. Weekly Loving Life commitments to get your life going in the direction you truly want it to be going in. Get really clear where you are in life. Discover how you want your life to look. Create your own personal loving life plan to get you there. Raw Kitchen Guidance – discover how to set up your raw kitchen, what equipment you do and don’t need and how to use it. Personal evolution – nurturing and guiding you as your body and life evolve week by week. Emotional development – teaching you how to manage the changes that will make you and your life Shine. Assessment of your food needs and wants as you go long, making sure you get them all. “I wanted to work with a raw food coach to get re-inspired to eat more raw food and to get support in doing what I know is good for me but struggle to put into practice. Now that I’ve completed the programme, I feel much more in control of my life and my eating. I have Good energy and feeling of inner strength. My poor eating patterns are much improved, I feel inspired to make food which is really good for me. I now spend much more time caring properly for myself, and not always putting everyone else’s needs first. I have an exercise programme in place and I feel able to make good choices. You feel stuck or overwhelmed and need help to change your health, lifestyle and behaviour patterns so that you can feel confident, clear and in control of your life. You love the idea of trying a new and exciting way of being and eating but need support to help you do it. You want freedom from fear of what the future holds for you as you get older. You know you need to make changes but aren’t sure where to start. You want to feel empowered about your life and the way you relate to the world and others around you. You love the idea of a self-development programme that is entirely holistic and looks after every part of you, mind, body and spirit. “I decided to do the Raw Freedom Love Life Raw programme because I felt like I needed a big change in my life, and needed support, encouragement and inspiration to do it. I experienced loads of positive changes during the programme: I lost lots of weight, I had a really good de-clutter of everything in my life that wasn’t serving me. I became a lot clearer with my boundaries with friendships, work and family. I managed to get my children in a good routine, and Saskia really helped me to structure my life…week by week. Just about raw food. This programme is fully holistic, looking after your body, mind and spirit so that you feel uplifted, motivated and empowered in all areas of your life. This programme is not just about revitalising your body but about revitalising every part of you so that you can fall in love with life again. An inflexible programme that doesn’t allow you to express your fears, hopes and dreams. This programme is all about giving YOU sacred space to flourish. I will be listening for all your fears, hopes and dreams even when you can’t hear them yourself; guiding you forward into a happier and healthier way of being; sensitively coaching you at a pace that feels perfectly right for you. A load of exercises and plans with no personal touch. You will have my undivided focus and attention! Our 1 to 1 coaching sessions are totally dedicated to finding your unique and beautiful life-rhythm; the one that allows you to feel confident, calm and connected as you move through your daily life. I’ll be considering all of your personal needs and helping you to apply everything you’re learning to your specific life circumstances, whether you have a family to feed, long work hours, travel a lot or are going on holiday. Something that will only change the way you feel for 12 weeks, then it’s back to ‘normal’. What you discover on this 12 week raw journey will inform the way that you look after yourself for the rest of your life. You will discover powerful tools and easy techniques to improve your health, looks and feelings whenever you want. An easy way of losing weight or getting physically and emotionally healthy without being honest about why you are where you are. You will have the opportunity to understand yourself and your motivations much better whilst doing this programme. We will be looking at the sticking points and blocks in your life so you can make long term changes to your health and wellbeing. Some changes you will find easy to make whilst others will require courage and honesty to move forward. A regime that needs loads of specialised raw food equipment. You’ll be amazed at the delicious recipes you can create with just basic equipment. You’ll need a blender, but even a hand blender is great for making raw food. A juicer is also fantastic because fresh juice is so nutritionally rich and can help with amazing cell regeneration and healing. If you want to get more equipment of course you can, but it isn’t essential for the programme. 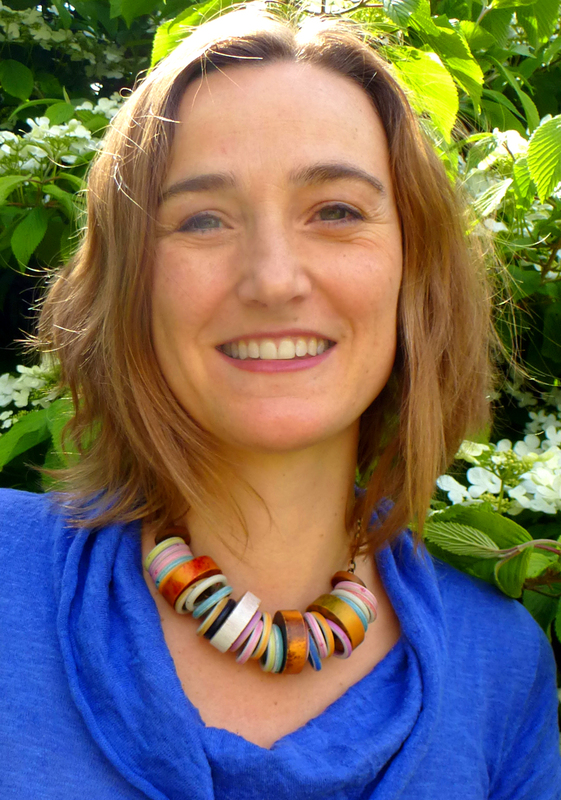 “Seeking inspiration, I enrolled on a one day Raw Food workshop with Saskia. It was her inspirational coaching that day, coupled with her natural down-to-earth honesty and life-affirming understanding and positivity that made me realise that I needed her; for more raw food coaching but more importantly for life coaching also. I enrolled on her 12 week Raw Freedom Programme the same day and can honestly say that I’ve not looked back since. Saskia’s simple and easy to follow menu plans took away one of my stresses and her guidance and care made me feel safe on my raw food path. When I began the programme I weighed approximately 70 kilos (11 stone), I now weigh roughly 58 kilo’s (9 stone). My energy levels have increased to the point that I sometimes have to tell myself to go to bed and get some rest! I originally heard about raw food back in 2005, but it took me another 2 years and a life-changing car accident to actually motivate myself to really give it a go. I was bumbling through life feeling low on energy, high on stress and generally pretty rubbish about myself when the biggest and most profound event of my life happened in 2007. I was on road trip in Argentina with my mum and two of my sisters when our car rolled, killing one of my sister and putting me and my other sister in intensive care. Back in the UK, the rest of my family received a phone call to say they didn’t know if any of us would survive the accident. It took me 3 months of rest to recover from my physical injuries, and during that time I had plenty of time to think about what was important in life. My life became divided between ‘before the accident’ and ‘after the accident’. Before the accident I worked myself to the bone and was really hard on myself, feeling pretty miserable a lot of the time. I almost drove my poor body and brain to the edge of a nervous breakdown with my first business. I was always criticising myself and telling myself I wasn’t doing things well enough, right enough, or just plain ‘enough’. I disliked the way I looked and I was on an emotional roller coaster: I had a quick temper and would get overwhelmed easily. The accident gave me a wake-up call. Very little seems worth getting stressed over or worried about when you’ve been through an experience like that. After the accident, all I wanted was learn to love myself and to be deep-down happy and to help others to do the same. When I discovered the profound life-changing effects of eating a high raw diet everything fell into place. I experienced a way to not only sort out my food and body issues but also my unhelpful emotional patterns too. As a certified Raw Food Coach I’ve been coaching for 4 years. I’ve directly coached and taught nearly 250 people about the body, mind and spirit benefits of eating a high raw diet, teaching my clients how to let go of their fears and to honour themselves and their natural intuitive wisdom. I would love you to become part of this gorgeous tribe too! “From the first moment I met Saskia I liked her style. She delivers her work with truth and conviction and her integrity shines through because she embodies what she does. The Love * Life * Raw coaching programme is a great framework for making change in your life. It is an empowering and liberating process that I would fully recommend to anyone. My daily eating habits have changed. I am now so tuned in to what the effects of food are on so many levels and am more able to decipher what my body ‘needs’ rather than what it ‘craves’. One of the main benefits is my skin. I have always had sensitive skin. It is now a lovely smooth texture and much clearer. Money always seemed to be in a state of lack and I have always had the mindset that I’ll always have to work like a dog to earn a decent living. I now feel amazing that I earn money doing what I love. I have also become much more organised and realistic with money and am working to re programme the lack of syndrome into that of abundance. Are you ready to give yourself one of the most self-empowering gifts possible? Do you want to make deep and lasting change within yourself? Do you want to feel balanced, centred and at peace? Do you want to experience the self-empowerment of being aligned in body, mind and spirit? Do you want to look forward to the future with excitement and anticipation but don’t quite know how to make it happen? Do you wish you looked and felt lighter, younger, more confident and more energetic? Do you need clarity and balance in your life? If your answer is “yes” to any of these questions then jump at this chance to experience the amazing health and lifestyle of Love * Life * Raw – a truly holistic mind, body and spirit experience. This programme helps you fall back in love with life, with expert step-by-step guidance and support all the way. 2) Monthly Payment Plan – Non-Refundable Deposit £699, followed by 2 monthly installments of £650. “I had been trying to incorporate more raw food into my diet for some time, however my busy lifestyle meant I tended to stick to the same sort of foods and I didn’t feel that I was getting the benefits of eating a balanced raw diet. Since doing the Programme, I am overall much more at peace with myself. My stress levels have now reduced due to the practical time management tips Saskia gave me and also the guidance on setting boundaries at work. She was excellent at coaching and coaxing me to develop, without being overly pushy or forcing me into doing things too far out of my comfort zone. The weekly food plans were fantastic and I really appreciated the fact that Saskia tailored the choices each week, so they contained foods I enjoyed and wanted to eat. I am now eating a high raw diet that works for me. Yes, it’s designed for women who are ready for a radically transformational change in how they feel about themselves and life. If you’ve done self-development work (including therapy/counselling), have some self-awareness and sense of self-responsibility, and are invested in making the very most of yourself and your life, then this coaching support will be the catalyst for the change you want. If you haven’t yet practiced any conscious self-development, then it may feel too soon to start committing to this level of learning. This programme is about creating real and practical changes for the better in your life. The amount of time that you dedicate to creating these changes will vary from day to day and from week to week. Some weeks the changes may mostly be related to improving your outook and self-image. Other weeks you may be instigating practical lifestyle changes, including learning new raw food recipes and creating quality time for yourself. The overall effect of the programme is that you become less stressed, anxious and overwhelmed and more energised, positive and calm. Anxiety over ‘fitting everything in’ subsides and life becomes fun again. Raw Freedom recipes have been created by a busy woman (me!) for other busy women. They are predominantly quick to make with easy-to-find-ingredients. The first two weeks you’ll be learning a few new preparation techniques but your meals won’t take any longer than making a homemade cooked meal, and often your raw food meals will be quite a lot quicker to make. Evenings will be your best time for getting prepared for the following day’s recipes and you can prepare your lunch to take to work or get your breakfast ready in advance then. This programme is about giving you back the capacity to fall in love with your life. I’m confident that you’ll feel fantastic about the results of this programme, and if you’re not sure please read the testimonials from the women who have completed and loved the programme. It’s never possible to know for sure that something will be worth the investment, but having the courage to take the leap in the first place is part of what creates the motivation and catalyst for change that you are looking for.